King of France from 1814 to 1824 except for a period in 1815 known as the Hundred Days. Known as Louis, the desired. Prior to his reign, Louis XVIII spent 23 years in exile (during the French Revolution) and again during the Hundred Days (when Napoléon returned to power). Son of Louis, Dauphin of France and Maria Josepha of Saxony, brother of King Louis XVI and uncle of the young King Louis XVII who both died during the French Revolution. He married Marie Joséphine of Savoy, who apparently repulsed him and the marriage remained unconsummated for years. Eventually Marie Joséphine became pregnant but suffered from two miscarriages and Louis XVIII did not leave a heir. 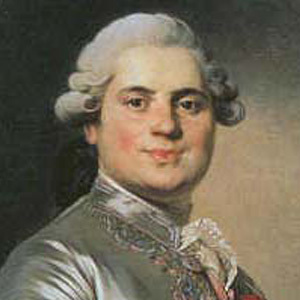 Upon the death of Louis XVIII (due to obesity, gangrene and gout), his youngest brother Charles X became King of France. Y-DNA STR profile was determined by DNA testing of three paternal descendants of his paternal ancestor King Louis III.